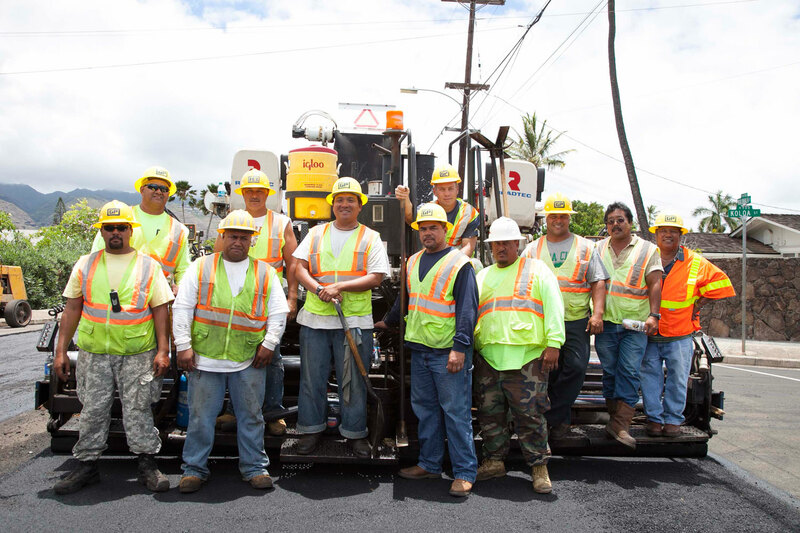 We are the most comprehensive roadway construction company in Hawaii. 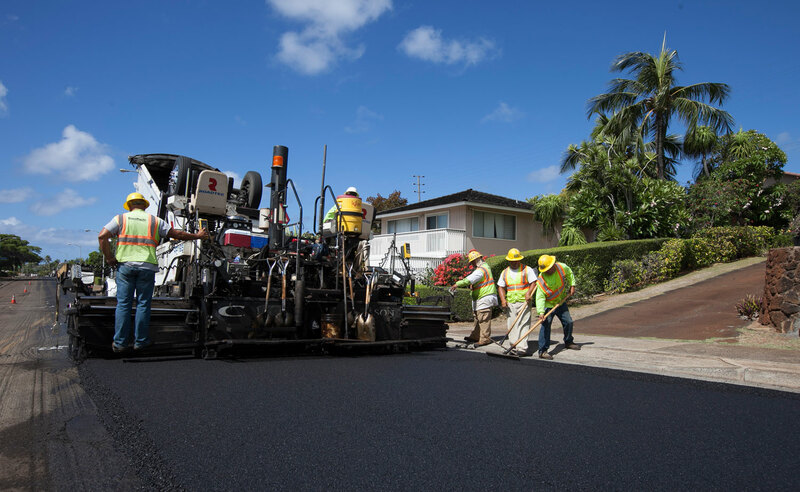 When you think of upkeep and construction of Hawaii’s roadways, think of G P Roadway Solutions because we offer nearly all of it since 1978. Being a locally owned company we realize that in order to do business with Hawaii we needed to be there in person.We offer our services to the entire state of Hawaii with offices on Oahu, Hawaii, Maui & Kauai. Our construction department installs a majority of the guardrails, road signs, traffic barriers and crash cushions in the state. 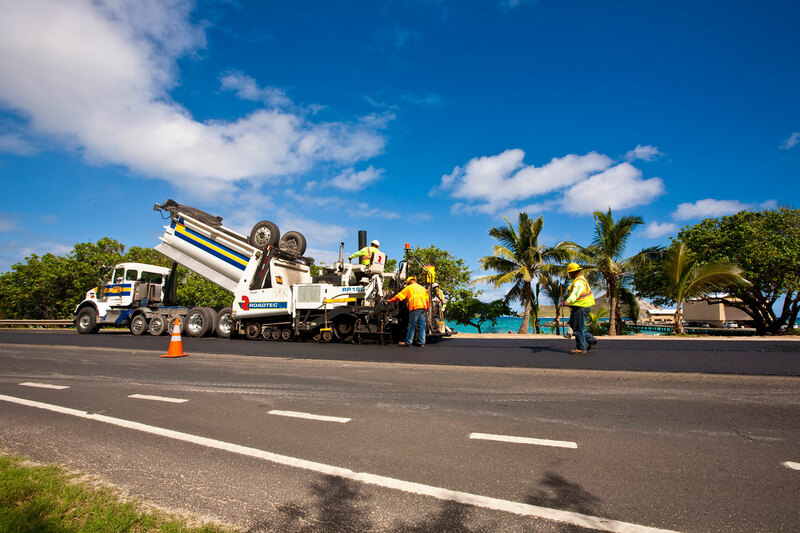 Our group will also maintain, paint and repair roads and parking lots. Our sales department can help you with the latest in safety equipment and road construction products because we represent some of the best manufacturers in the country. 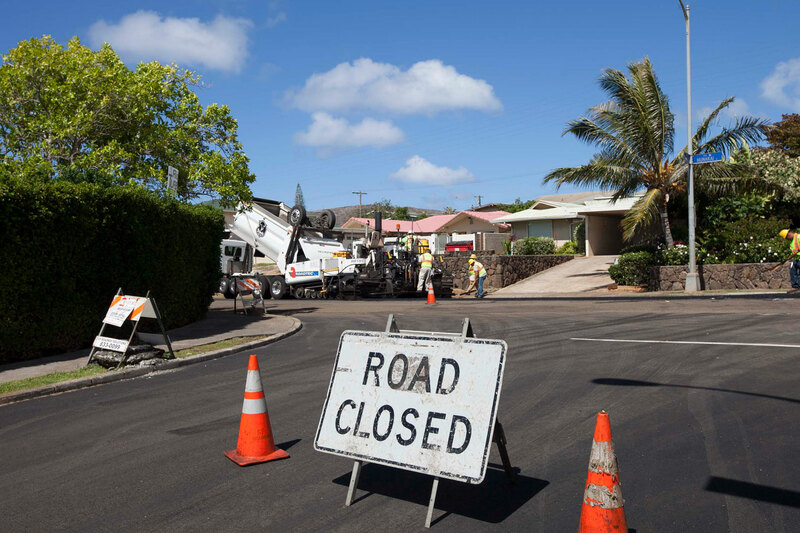 The rentals division has helped countless road construction crews by directing traffic safely around construction sites and sports events using our cones, pedestrian and vehicle barriers. We also create a safe constructions site with trench shoring, steel plates and other large construction equipment you don’t want to own yourself. This is where we would add the new GPRM Prestress page. Since they have only the Who we are page. Add the content on that to the page and have a section for past work with all the images that they have on the slider. Make sure we have the PCI certified plant logo and ccpi logo on there. G P Roadway Solutions Inc., a subsidiary of Grace Pacific LLC, offers guardrail and installation services along with Traffic Control Products, Services, and Rentals.Click here to go to the GPRS web site.